Live stream for Danny Jacobs's press conference on Matchroom Boxing signing. 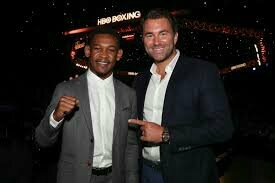 Former middleweight titlist Danny Jacobs meets with the NYC media today to discuss his big free agent signing with Matchroom Boxing. The presser will be streamed live and begins at 12:30 p.m.